PoPville » Have You Ever Noticed Neighborhood Names in Completely Different Neighborhoods? Have You Ever Noticed Neighborhood Names in Completely Different Neighborhoods? When I passed the Mt. 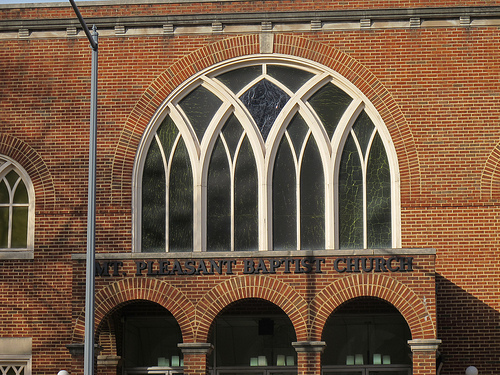 Pleasant Baptist Church in the heart of Bloomingdale on Rhode Island Ave it got me thinking about other out of place namings I’ve seen. Just off the top of my head – there is a Logan Antiques in the middle of Mt. Pleasant and there is a Petworth Liquors in the middle of Park View near Pleasant Plains. There has to be some more good ones – Have you guys noticed any other odd namings around town?